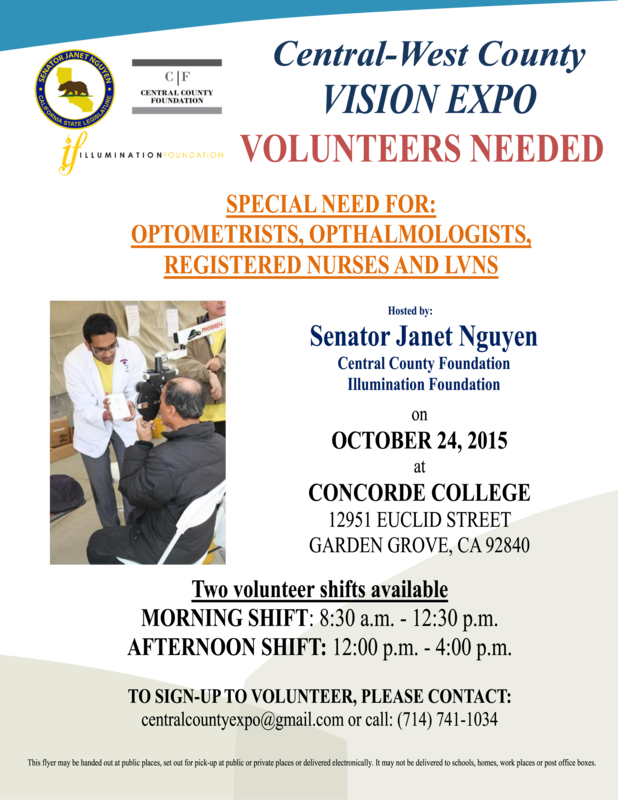 Volunteer eye care specialists are needed for the Central-West County Vision Expo in OC. This event will be hosted by Senator Janet Nguyen and the Central County & Illumination Foundation. Kids Vision for Life strives to accomplish the mission of eliminating poor vision and its lifelong consequences. They are looking for awesome optometrists who would be willing to work at their next local event. 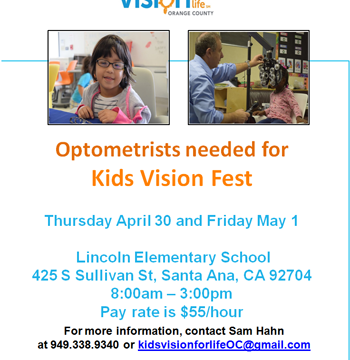 EVENT: Kids Vision Fest in Santa Ana. There is funding to pay optometrists to work that day. The rate is $55/ hour. EVENT: South County Outreach vision screening for the low income and homeless. Looking for either 3 optometrists to volunteer the full day or 6 optometrists to volunteer for half of the day. The Southern California College of Optometry at MBKU is pleased to serve as the host of Allergan’s Pathways in Medical Optometry Bootcamp. The Orange County sessions are scheduled for Saturday, February 28th. 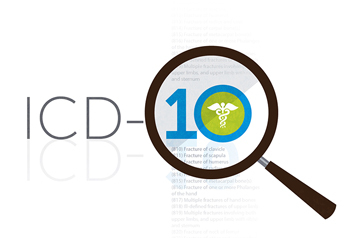 The program is open to ODs practicing full scope optometry and their staff members as an opportunity to enhance their medical practices. Click here for an informational brochure about the offering. While SCCO serves as the host of the event, registration takes place online at www.AllerganODPathways.com. For questions, please call 844.750.2020.